The news last week was dominated by stories of the college admissions cheating scandal. My first thoughts – like many of us – were, “Can you imagine the gall?” and “Why didn’t my parents pay $200,000 to get me into an Ivy League school?” (I’m kidding, of course. I’m very proud and thankful for the education I received at Kent State University). Once you peel away the celebrities, the money, the athletic departments and all of the other illegal activities, there’s a story here about parents who were unable to let their children try and perhaps fail on their own. While we can applaud the intent of parents who only want the best for their children, these same parents have to be willing to let their children learn and fail on their own. That’s where AEPi comes in. One of the very positive things about Greek life is that it teaches college men and women real-life lessons in finance, organizational management, marketing and many other areas. 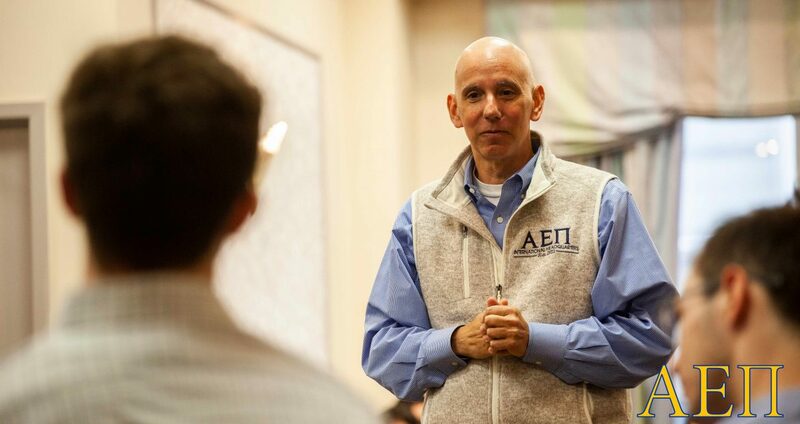 At AEPi International, we want to treat our undergraduates like adults — help them when we can, show them where the boundaries are and what the rules must be and help them to see that asking for and taking advice from those with experience is a good practice. And, those same undergraduates have to learn that they may fail and, if they do, there are consequences. Our International staff does everything possible to help our undergraduates and their chapters succeed. Much – if not most – of the time, we are able to provide the advice and support to keep our chapters operating smoothly and fulfilling our mission. When a chapter fails to follow the rules (either our rules or those of their campus or municipality), they have to expect to face consequences. And, while painful, those can hopefully be positive long-term lessons. The real “heroes” here are our undergraduate leaders who are learning these valuable life lessons and seeing results every day. Instead of having success given to them, they are earning it. Instead of not encountering a challenge, they are encountering obstacles and working to overcome them. I can’t tell you how many parents call me each year to tell me that their son’s fraternity house is dirty (my answer: have your son and his chapter brothers clean the house) or that they need to get some kind of permit to hold a philanthropy event or have paperwork to fill out for their school’s administration. These are the challenges that they have to face and work to overcome. We can do it for them but it lessens the positive impact of being a chapter leader. Next month, our Brothers at the University of Missouri will host the 50th anniversary of “Rock-A-Thon,” the nation’s largest Greek-run philanthropy event. Those Brothers could get their parents, alumni or AEPi staff to plan, promote and execute this huge event but the real value (in addition to the tens of thousands of dollars they will raise for philanthropy) is in taking responsibility for the success – or failure – of this event. Those are lessons they will remember and put to good use every day for the rest of their lives. These are the lessons that AEPi is here to help provide.